This Greek Revival home boasts a superb location on the edge of the Garden District on the famed ST Charles Ave. 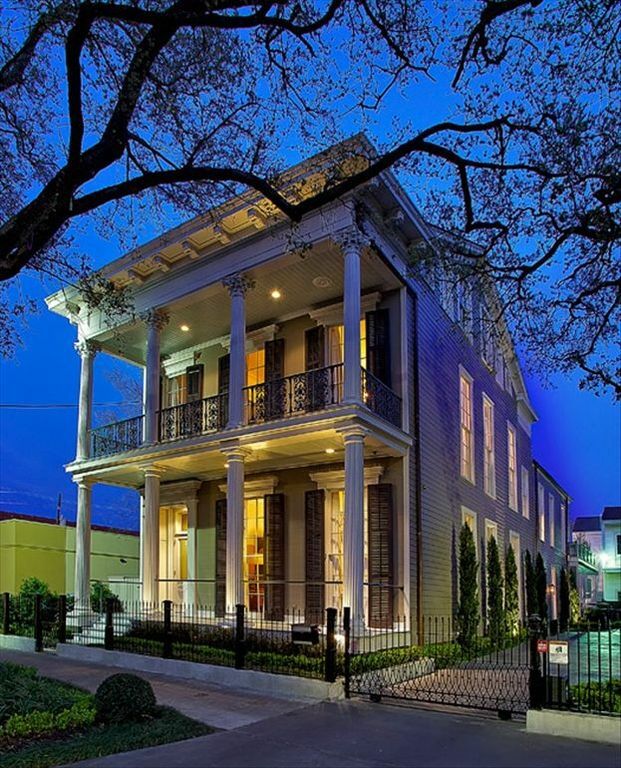 The Greek Revival home was built in 1853 and has been meticulously renovated and decorated by designer Jon Vaccari. The home consist of two units. This listing (291314) is for the 4 bedroom 3.5 bath unit located on the 2nd and 3rd floors. The 1st floor 2 bedroom 2 bath unit can be found on VRBO under listing #1185662. We offer a discount when renting the entire house. The sophisticated and luxurious furnishings will serve as a stunning and elegant backdrop for your event, whether it's getting ready for your big day or simply a family vacation. Perfect for local corporate event as well as out of town convention guest in need of lodging and meeting space all in one. We are located 1.3 miles from the Convention Center and 1.4 miles from the Superdome. This home is spectacular! The bedrooms, bathrooms, kitchen, indoor gathering areas, outdoor areas, adjacent parking and prime location could not have been better. Plus, the welcome and customer service we received from Jamie was top notch! This beautiful home sits in front of a St. Charles Ave Trolley stop and across the street from a wonderful coffee shop, full wine store and convenient Walgreens. And, as an added bonus, it is less than a block away from The Tin Roof -- NOLA's best rooftop bar (the view is amazing!). It is a beautiful, luxurious home and the location is very convenient! The home is a feast for the eyes! We were two couples visiting New Orleans February 7-11. All of us were completely amazed by the beauty of this apartment. Everything was perfect including amazingly comfortable beds/pillows/linens. Each detail was thought out & arranged for comfort & elegance. Jamie was charming, professional and available for any or all questions. This made our getaway weekend one of the best ever!! I cannot recommend this more highly. The trolley is right outside your door & for $1.25 you can travel to the best parts of New Orleans. Restaurants across the street were wonderful as well. Jamie was very helpful from the time of booking until the time we left the property. To add to our treat in staying there we hired Amy Sins from Langlois to come in for Sunday brunch and teach us how to make gumbo and crepes at the house. It is a must to add to your list if you can. The property has easy access - from parking onsite to the trolley at your steps to swoop you away to other areas of the city. My Family and I spent Thanksgiving here! This Home is Superb! Everything about the home was wonderful! From Location to Decor! We will come back again! Our group loved our stay in this elegant mansion. The location was perfect for Garden District strolls and food/shopping on Magazine Street. Standard rate does not apply to special events, holidays, or wedding prep or wedding functions. Please inquire for rates. $700 damage deposit due at booking.... 100% of Rental Fee due 60 days prior to arrival.